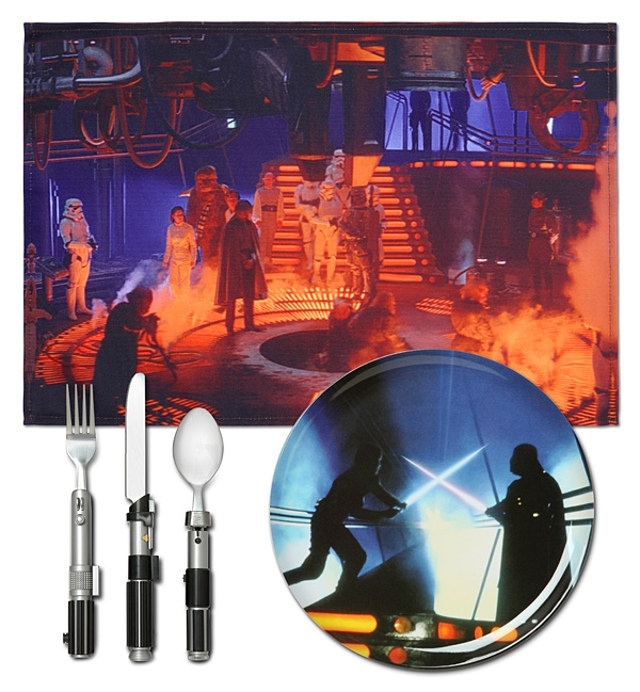 Now you can sit down to dinner and be transported to a galaxy far, far away, with these cool Star Wars place settings. 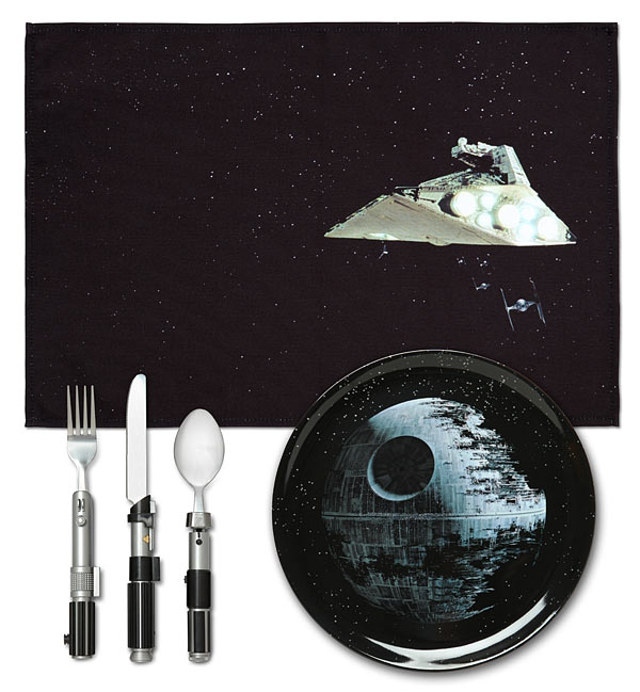 Each set comes with a printed fabric placemat, a printed plate, and a lightsaber fork, knife and spoon. 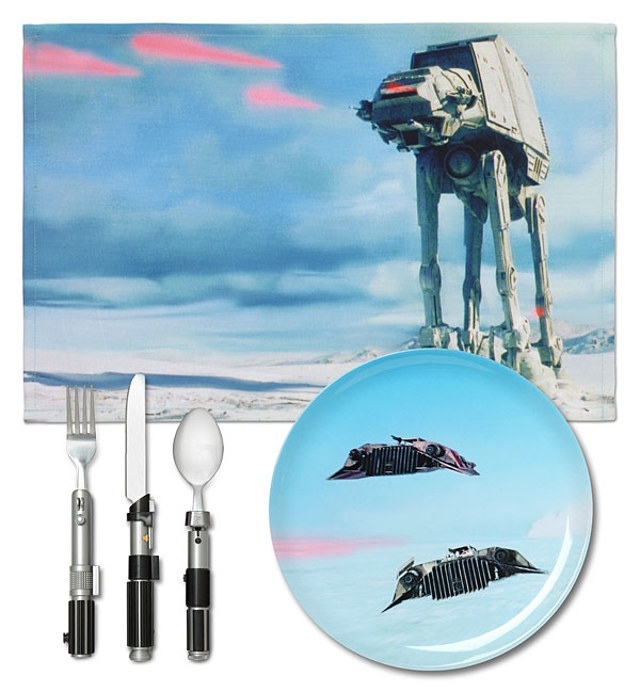 You can choose from Death Star, Tatooine, Hoth or Cloud City sets. You can mix and match from different sets because the plates and placemats are all different. I predict that these will be in every home by year’s end. 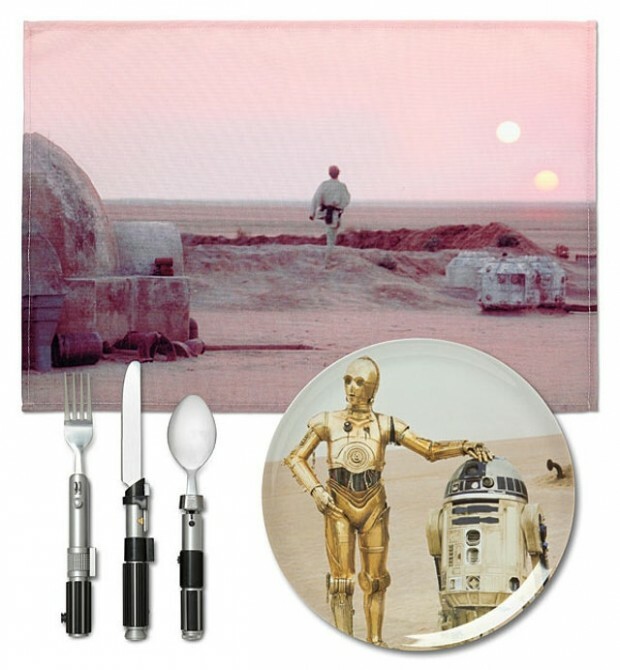 I know they will be in mine, at least until my wife complains and we have to go back to more Earth-bound dinnerware.